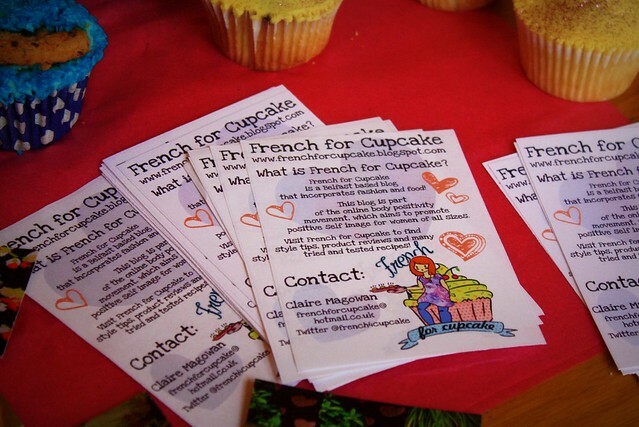 Cupcake Camp was today! It was amazing! 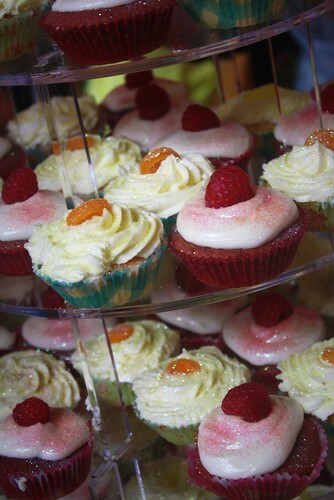 If you had asked me the night before when I had baked over 100 cupcakes and had to be in work for 7:30am I might have said something different but I am so glad I went. The day was brilliant, so well run and well attended and lots of money was raised for Marie Curie cancer care. 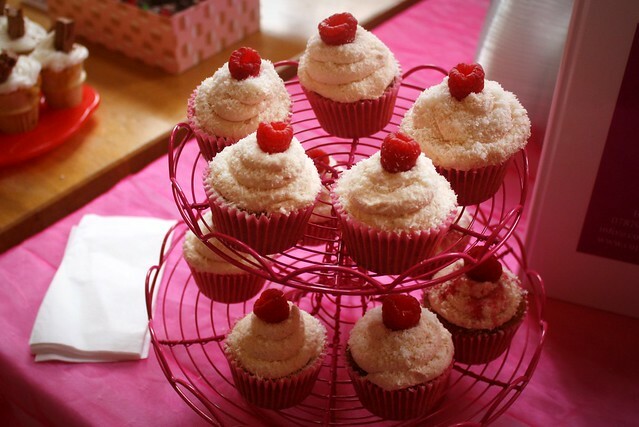 People keep asking me what exactly Cupcake Camp is, well basically it's a day where both pro and amateur bakers (like myself) bring cupcakes, set up a table and open the doors to the public to come and feast for free! 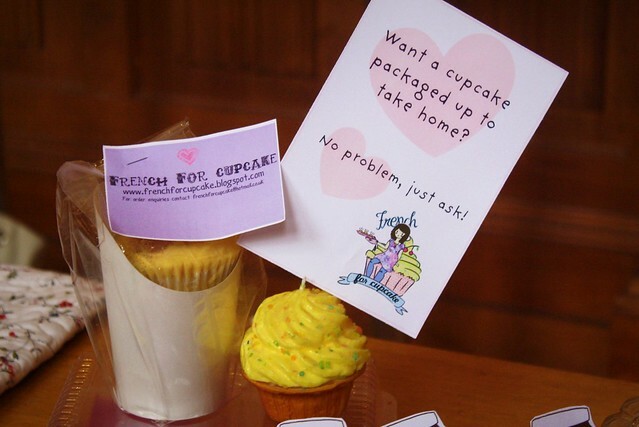 Yep, totally free cupcakes all day. There were competitions as well. Now, I never win anything - or I very rarely do. So imagine how chuffed I was to win a prize, the judges decided when looking at the cupcakes entered to add a category for Best Decorated Cupcake and I won for my Cookie Monster Coconuts! 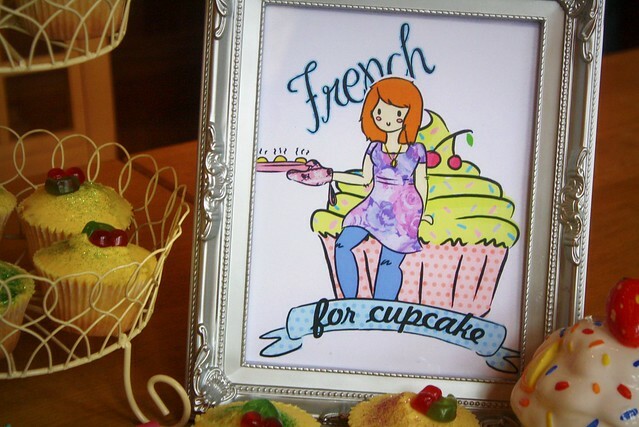 I was really embarassed and had to go up and probably looked really silly but it was lovely to win something, and I got £50 in vouchers to spend in my favourite cake shop so I will be stocking up very soon! 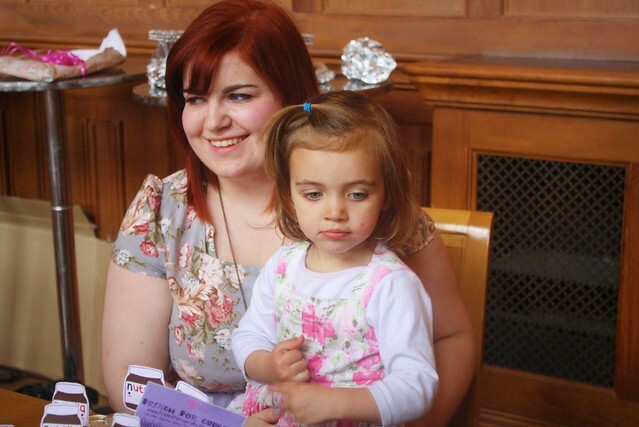 It was so lovely to meet and mix with fellow bakers and to meet some of my lovely blog readers. Thanks to Ciaran for running the event, please do another one next year! Below are some photos of my set up and my cupcakes, thanks to my lovely little sister and her friends for helping me all day! I made the bunting using paint believe it or now. Yay for limited computer skills! My niece was on hand to help (i.e. 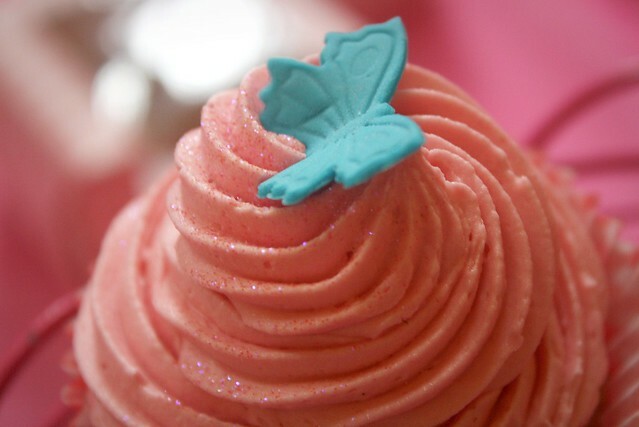 eat lots of frosting). 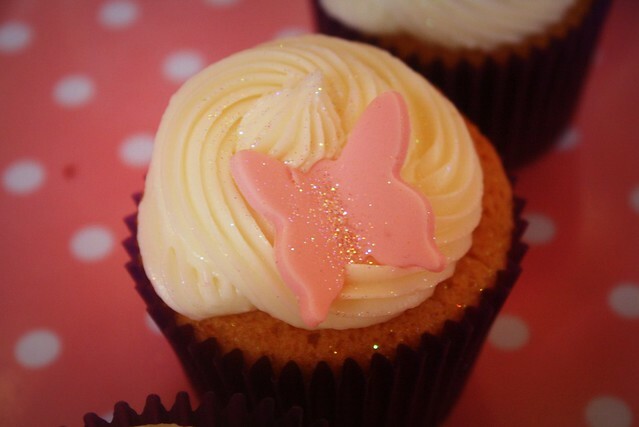 And some of the other lovely bakers cupcakes below! 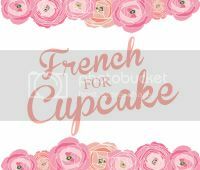 I can't remember who is who, if you see your cupcakes here and want a link added please contact me! 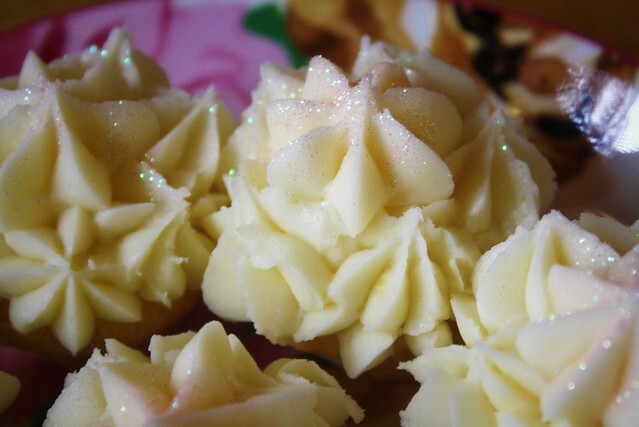 There are no words for how amazing your cakes look. Well done on winning, you totally deserved your prize! You're display looks lovely! 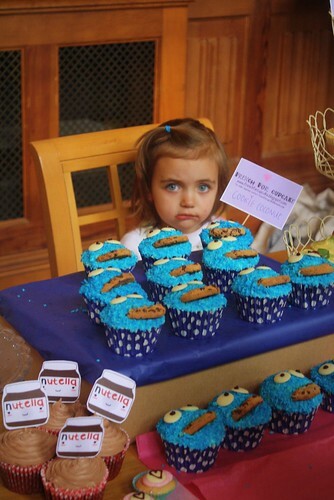 the bunting is so sweet and your Cookie Monster Cupcakes are to die for. 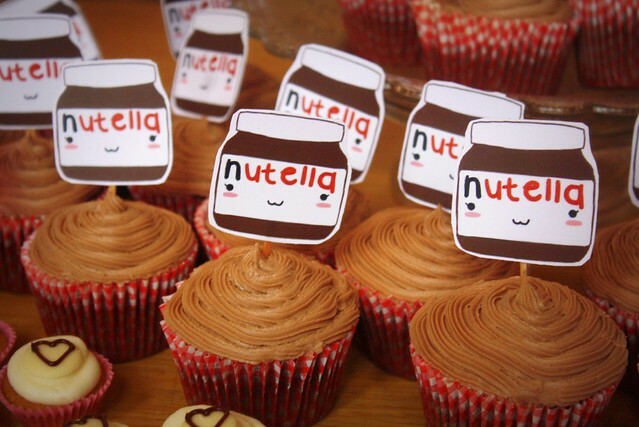 I really love the Nutella ones as well with their sweet little sign. COngrats on the award you totally deserved it. 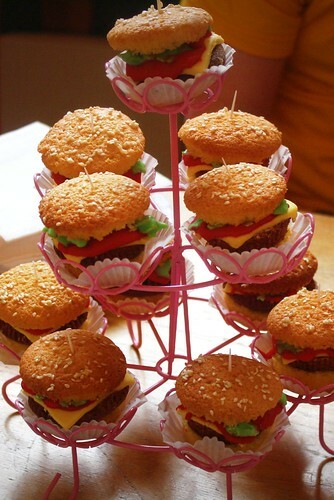 Oh and the hamburger cupcakes are really clever! The little burgers are my favourite! 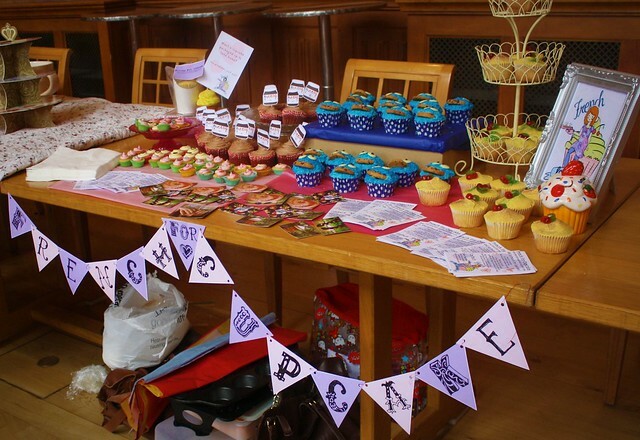 They all look so amazing, I love the little buisness cards you made and the bunting! OMG! yours looks so fantastic, and look at those mini burger ones! Genius. Your stall looks amazing. You are very talented. Well done. Grea to know yu made lots of money for a good cause. 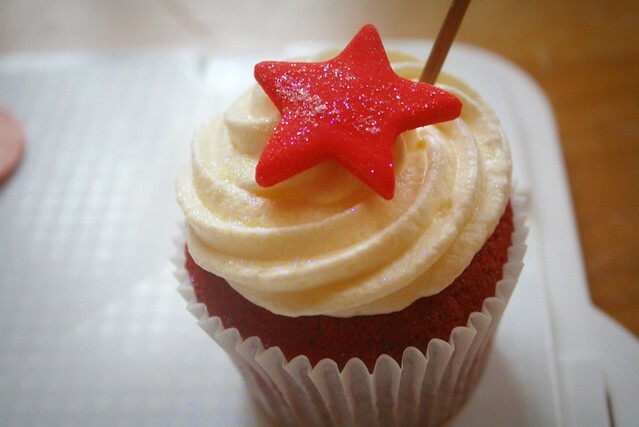 Wow your cupcakes look fantastic! 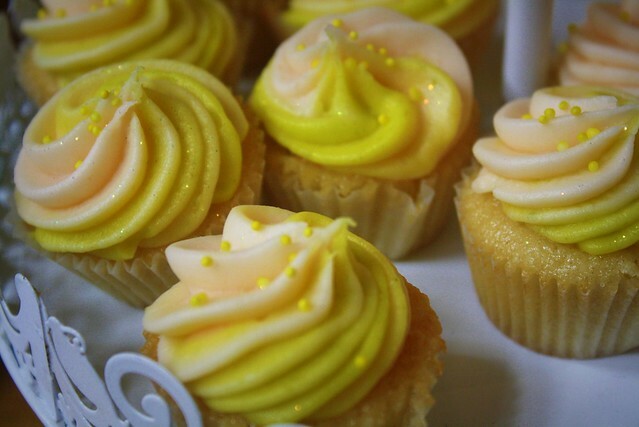 I'm so hungry just looking at these pictures! Aww how cute is Jaime! 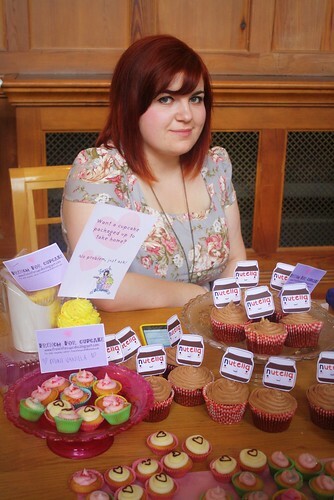 I love the way she's eyeing up the cupcakes in that photo haha. 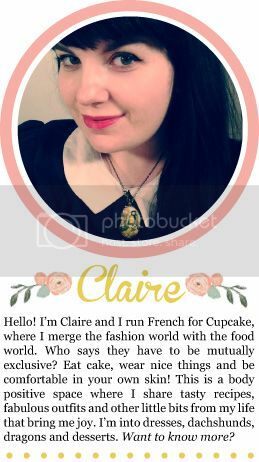 Congrats on winning that prize, I wish there was a cupcake camp in the north west! 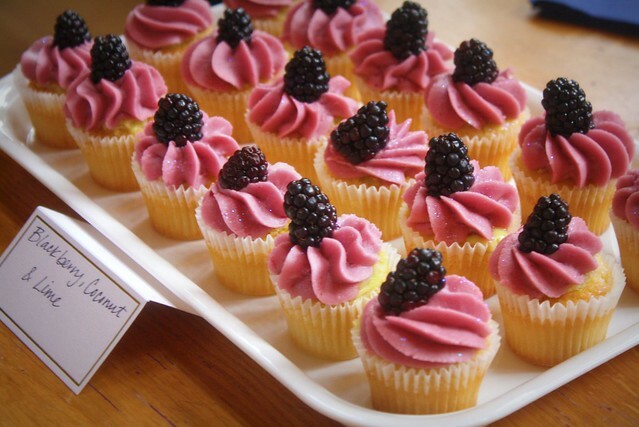 I was there and seen and tasted your cupcakes. They were lovely :). I did enjoy the cookie monsters. I left before the prizes were given out, but well done! Well done on winning, these look absolutely AMAZING! this sounds so good! yours look gorgeous and delicious tho i love the hamburger ones as well!! 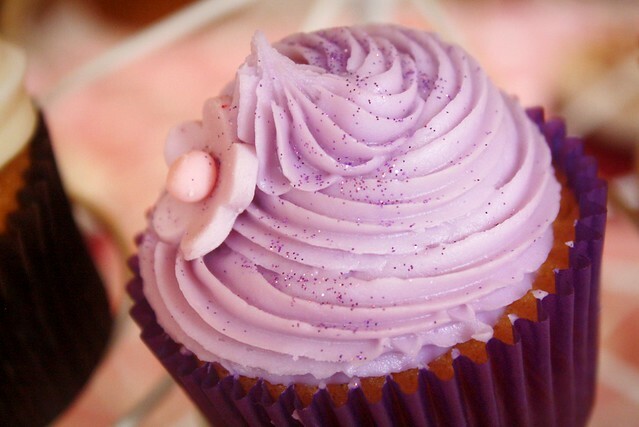 All cupcakes are irresistible! 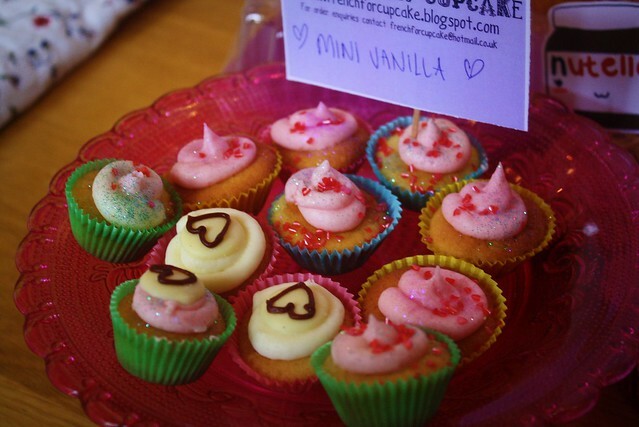 But I found the mini cupcake cuter among you created. 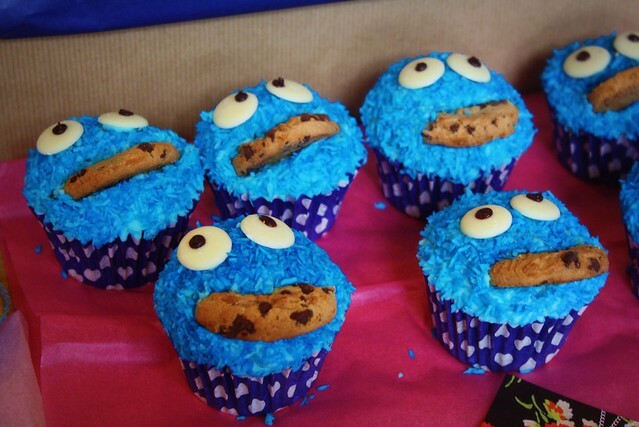 Those cookie monster cupcakes are perhaps the coolest thing I have ever seen.